Running for six weeks in the UK from the end of June until the beginning of August, ITV1’s "Your Face Sounds Familiar" saw celebrities take on a new identity each week, vying for the chance to win £10,000 for their chosen charity. Aurora Lighting Hire provided full lighting facilities for the show, including a substantial selection of Martin Professional luminaires. Coming from the prolific Endemol stable, the Saturday evening program saw celebrities including Natalie Anderson, Alexander Armstrong and Denise Lewis transform themselves into different singers - chosen via the show’s ‘Randomiser’ - to perform a well-known song each week. Lighting Designer Gurdip Mahal was tasked with helping to create a lighting design that would look fresh and exciting for every program. He chose to include a combination of Martin MAC Viper Profile high-output profile luminaires and MAC Aura LED wash lights as part of his rig. 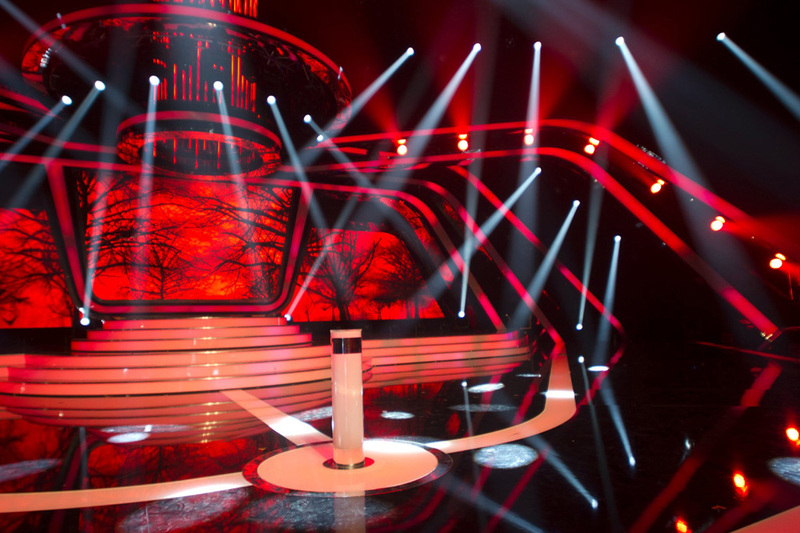 With the song selection for each celebrity being random, once the lighting team knew the choices for the following week they started work on new lighting concepts. “We had a meeting at the end of each Saturday night to brainstorm ideas,” says Gurdip. “Because we only had a week in which to do it, the set was designed to be as versatile as possible. Your Face Sounds Familiar is one of many high profile television shows Aurora works on, others including The Voice, Alan Carr Chatty Man, The Graham Norton Show and The Jonathan Ross Show.